Sheer dedication! That’s how I describe Ray and Renee Padilla and their Pickleball Training program. Ray and Renee offer free instruction to folks from age 4 to 94 in Albuquerque, New Mexico. As I listen to Ray’s account of how he got into teaching the sport of pickleball, I hear his dedication to all athletic programs that help a student to learn to do their best, no matter what. Retired from the Department of Defense after 41 years, Ray has been certified to coach soccer for Olympic level players. In all sports, Coach Ray likes to teach in the dynamic, progressive style. He is not a fan of classroom lectures. He believes in getting out there and practicing as soon as possible: “Less talk, more doing!” He teaches the “why”, the “what” and the “pros and cons” of technique. Then he encourages his students to make what they do the best, even better. He has lots of paddles, so he shows folks the nuances of paddle grips and paddle sizes. It’s a labor of love for Ray and Renee. They do their training workshops on a volunteer basis. They reach out to school P. E. programs. They work with veterans. They teach at a Senior Center and they work with special needs students at a local high school. They set up at locations that don’t have enough space with a mini court. It’s an easy way to teach the basics of the game of pickleball. They offer training mostly indoors. Albuquerque weather can be daunting at times: 100 degrees, a mile up in altitude, can cause fatigue and heat-related health problems. There’s a growing contingency of tourists interested in pickleball. People traveling through Albuquerque from places like California, Idaho, New York and Chicago find out about Ray’s Training Program and stop in to learn more about the game. 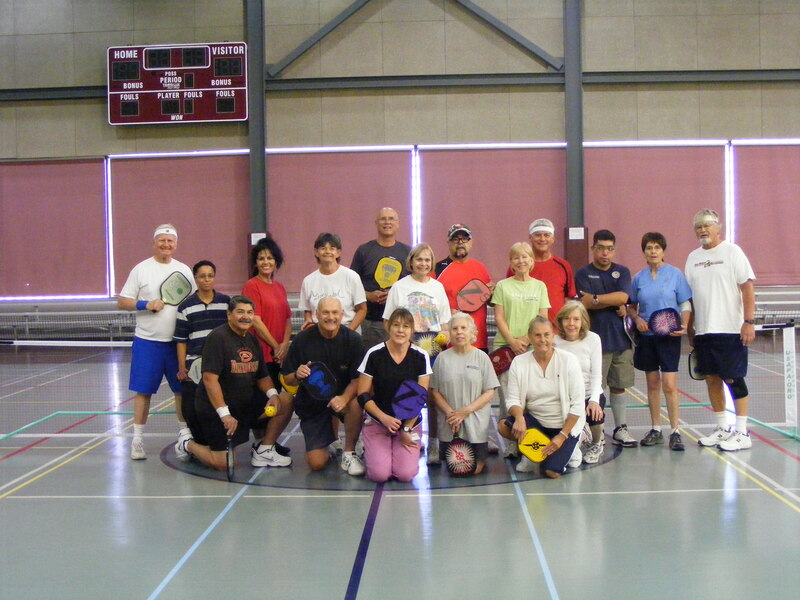 Information about Ray’s Pickleball Training program is posted on the USAPA website, usapa.org. 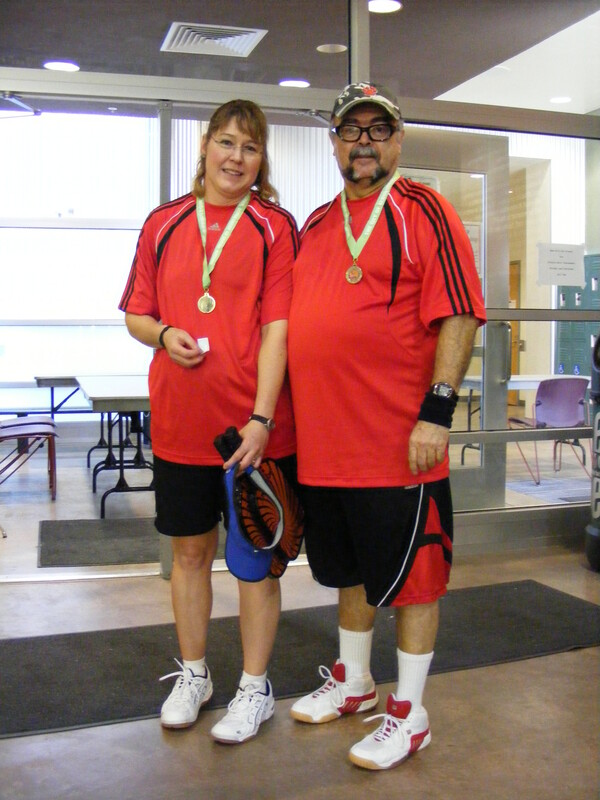 Thanks Ray and Renee for sharing your love of pickleball with the wonderful folks in Albuquerque!